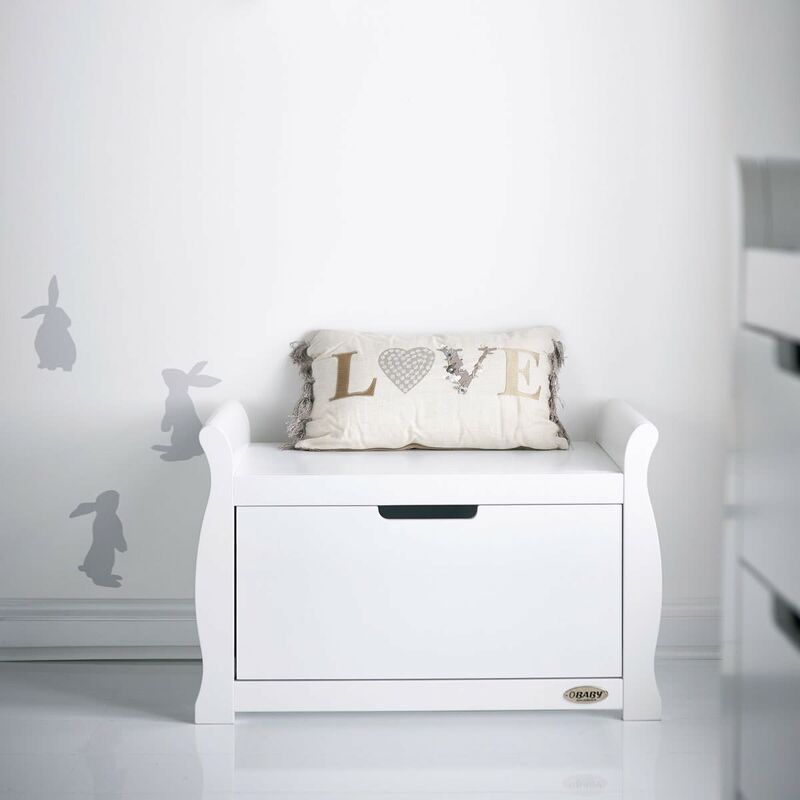 Every nursery needs a storage and the OBaby Stamford Toy Box is practically designed as a large single drawer on sturdy metal runners. The solid flat top offers extra display space too and it coordinates flawlessly with the rest of the furniture in the Stamford nursery range. 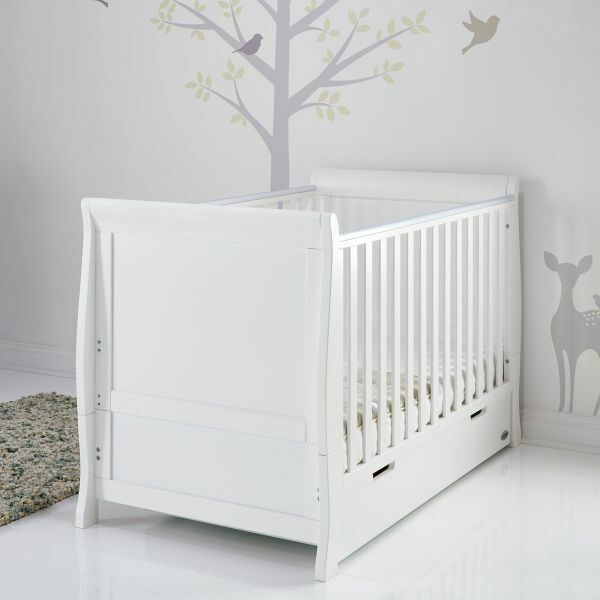 OBaby nursery furniture is a blend of quality, style and reliability. With an elegant carved scroll design, the Stamford range has a timeless feel and is a contemporary choice to furnish a nursery. 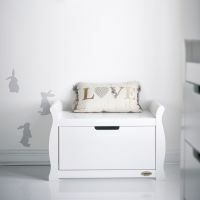 Carefully crafted from solid New Zealand pine, the toy box is available in a choice of white, warm grey and taupe grey to compliment any colour nursery scheme. The Stamford Toy Box requires assembly and is delivered within two weeks. OBaby offer a free 5 year guarantee when you register your purchase with them within 28 days. If you’re looking for alternative storage options, the Stamford range includes a chest of drawers and bookcase.